Well hello again! The past week was probably one of the hardest for me in all the development process. I ran into a problem that occured as a side effect of me wanting to have the levels spread over multiple floors. You want to always see your player character! A manager script. Pro: Full control over everything. Con: But what will you do with all the non-static content? Other players or agents might enter that room, new renderers might be spawned over the course of play(like shooting bullets etc) and you won’t really want to constantly track everything, because this would be a) pretty expensive to calculate and b) probably very messy, bulky in implementation. Unity Layers. Pro: A Built-In, lightweight solution. I could set all objects layers to their respective floor and just render/not-render based on the current camera position. Con: You still need a manager who sets the objects layers, which makes you run into the same problems. Even worse, as the built in layers are also used for physics occlusion, you would automatically sacrifice that convenient feature just for multi-floor levels. Use the cameras near-clipping plane. Pro: Clips everything away with no hassle. Lightweight, no to little additional code required, the GPU does it for you. Con: Out of the box this would only work when your camera would point down with a 90° angle, but mine is more like 65°-70°. 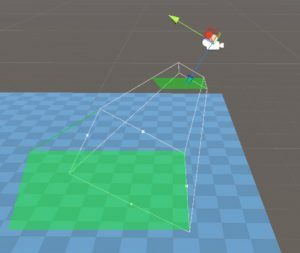 Create a second camera in runtime, also disable it as we are not interested in it to actually render. Place the camera on room-height, ie 4 units above the current floor. Let it point down 90°. 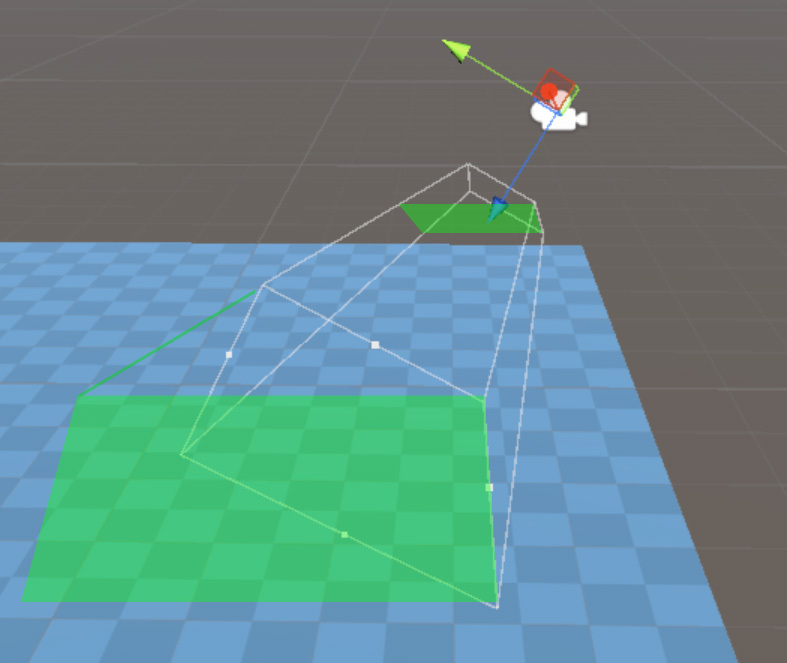 Set a FOV of 180° – so the camera is basically a super-fisheye and sees all the room. Use this cameras projection matrix on the actual main camera! or that everything just went translucent, probably using some sort of custom shader.